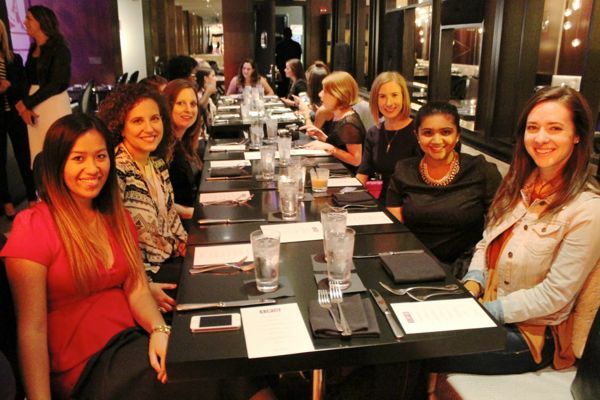 Last week I dined at IPO (short for Initial Public Offering) at the W City Center with 20 of my blogging friends. 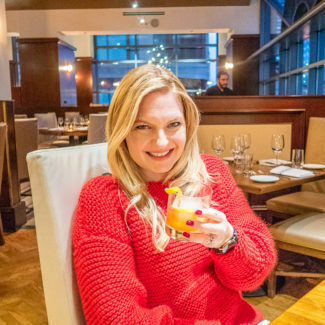 We were spoiled rotten with mixology demonstrations and a six course dinner. You know you are having a great week when that sums up your Tuesday. We kicked things off with a mixology lesson and cocktail tasting in the lobby lounge, The Living Room Bar. 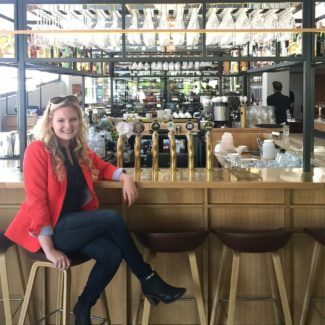 The W City Center’s mixologist Lauren Parton showed us how to prepare three signature cocktails. She also demonstrated how to use citrus fruits to create a fun presentation, like in the photo below. My favorite cocktail was the last, which tasted like a boozy milkshake. Then we moved into the dining room where we feasted on urban cuisine prepared by Chef Fernando Coppolla. 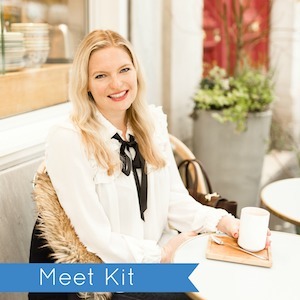 He has worked in kitchens all over the world, which has lead him to creating IPO’s modern urban fusion cuisine. 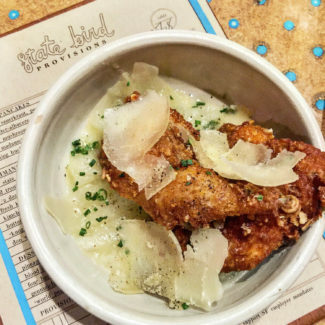 The menu is seasonally inspired with ingredients sourced from Green City Market (Chicago’s most famous farmer’s market) and from the W’s rooftop garden. The result was a memorable meal with tastes and flavors from all over the world. 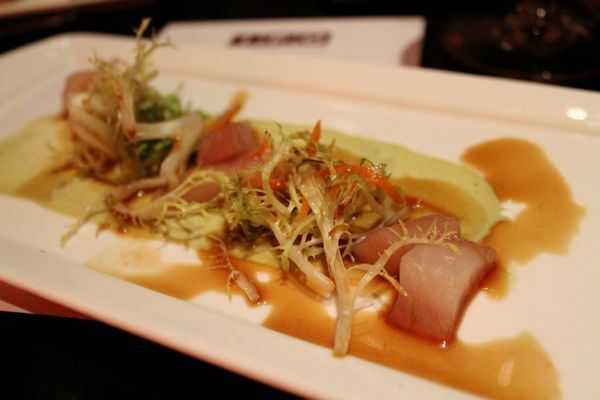 We began with the Hamachi Crudo with crisp vegetables, avocado puree, yuzu ponzu, and frisee. The hamachi practically melted in my mouth, which might sound like an odd thing to say about raw fish, but it was delicious. 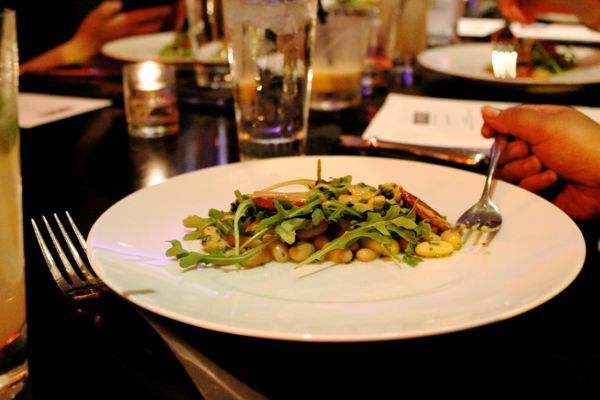 Next up was Arugula & Chorizo Salad with cannellini beans al ajillo, chorizo, xerez vinaigrette. The chorizo was very thinly sliced and added just a bit of meatiness to the salad. 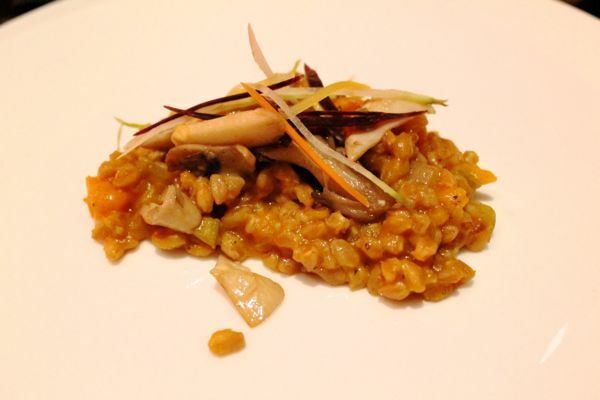 Once dish that felt very fall was the Farro Risotto with roasted kabocha, wild mushrooms, and heirloom carrots. 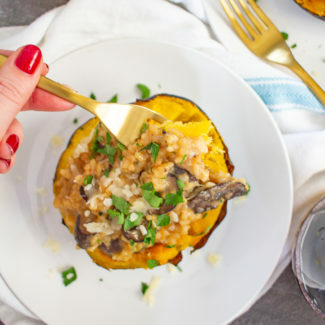 The kabocha and mushrooms added a nice heartiness to this vegetarian risotto. Then we had Maine Lobster Ravioli with cognac cream sauce. It was rich meaty and the pasta was tender. The small portion was the perfect amount. 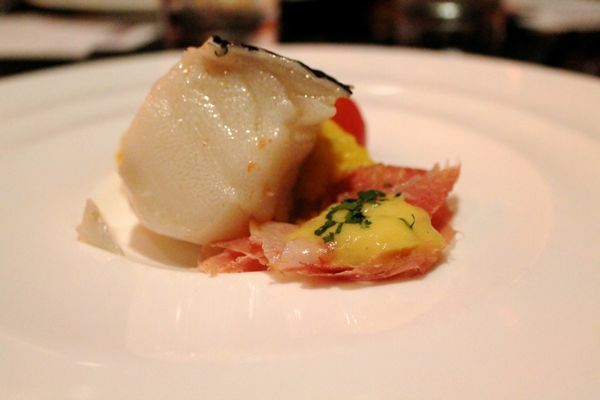 Our fifth course was Chilean Sea Bass Confit with saffron orzo, serrano ham, blistered tomatoes, and caldo gallego mouse. I was surprised by how much I enjoyed this dish. The sea bass wasn’t the least bit fishy, and it was very light and tender. One thing that I noticed throughout the evening was that as each course was presented, people were saying each offering was better than the last. 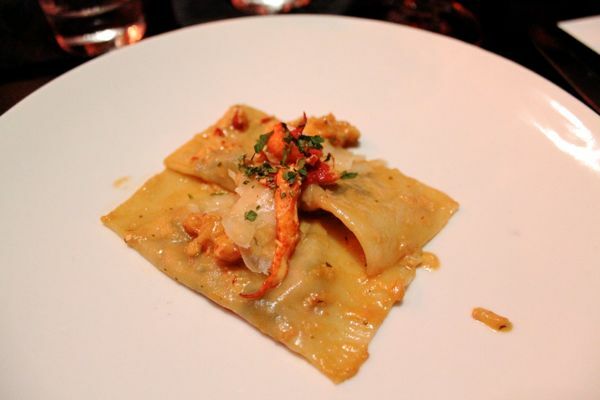 Everyone loved the farro risotto and many people declared it was their favorite, until the lobster ravioli came out. Each dish seemed to one up the last. When I read the menu, one item stuck out: Patagonia. I even tried to slyly Google “patagonia food” but the results were inconclusive. Patagonia lived up to its mysterious name. 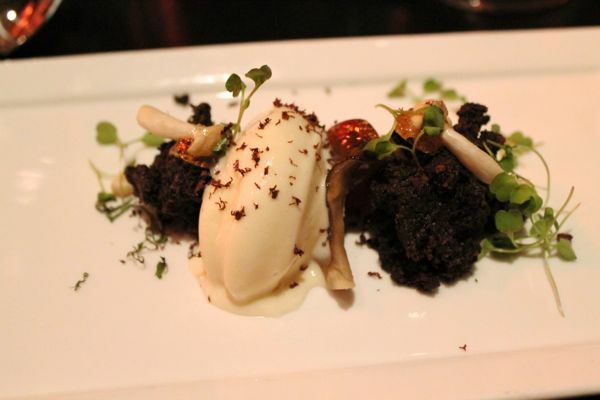 The dish as a deconstructed dessert that a fellow blogger described as being a delicious journey through the forest. It involved a chocolate cake, gelato, and mushrooms. 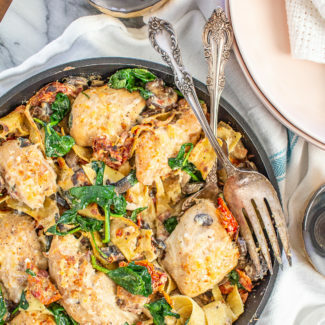 It was a creative mix of ingredients, and something that people were raving about after. We had an incredible evening at IPO. 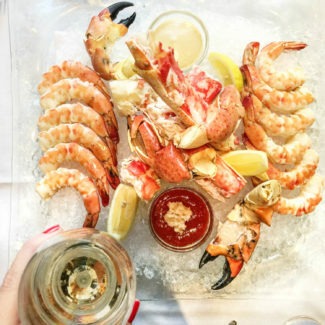 Each dish was thoughtfully presented and well prepared. This would be an ideal place for drinks after work, or a quiet dinner. 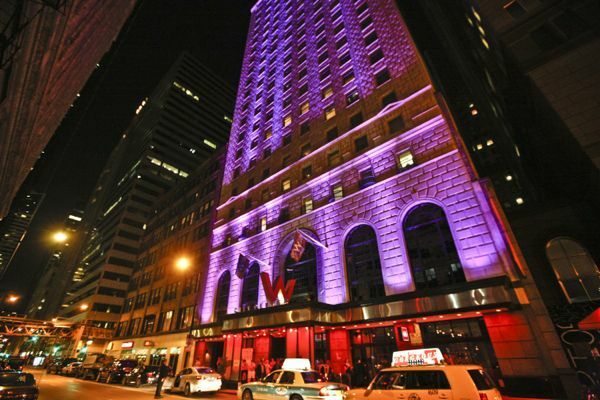 The W City Center, is as its name suggests, right in the center of Chicago. It’s location is the perfect jumping off point for travelers looking to shop, see shows, visit museums, and explore Chicago. IPO is located at 172 West Adams Street in Chicago’s Loop. They do accept reservations.